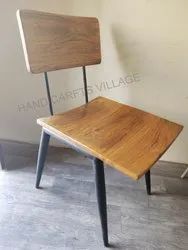 Offering you a complete choice of products which include iron armless cushion chair, mapple iron solo stool, cycle wooden cafe table, stylish wooden mango chair, metal wood cafeteria chair and hv square cafe table. 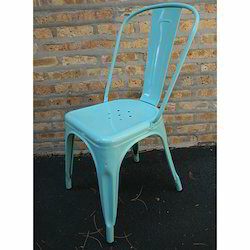 Its a Iron Armless Chair for cafe and Restro Use also Use in Outdooe and Indoor Furniture Its very light Weight u can also use in Garden Area also.no need to fix it. 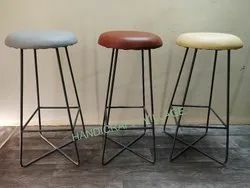 Its a Mapple Iron solo stool for Bar Restro and Hotel Use also very light weight easy to install no carpenter Require for Install. 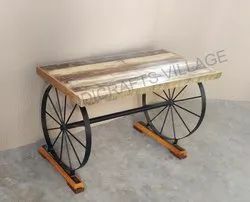 Its a Unique Cycle Cafe Table for Cafe Hotels and Dining Use purpose also very easy to move its a shesham wood table making in Iron and Wood. 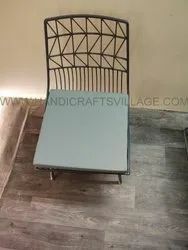 Its a Stylish Mango Wooden Chair For Cafe and Restro Use also u can use in home and Marriage Functions. 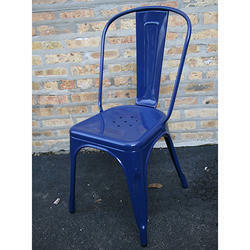 Riding on unfathomable volumes of industrial expertise, we are providing a broad array of Metal Wood Cafeteria Chair. 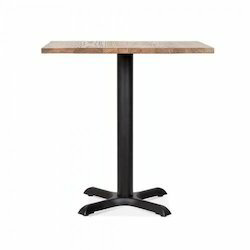 The square cafe dining table with a 80cm diameter solid wood top in a walnut wood finish would make a good meal even better when it's served on a fantastic piece of furniture like this. 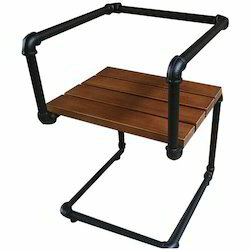 Channelling industrial inspiration into a simple, modern piece, this square table is ideal for homes or cafes lacking in space and makes a casual dining option whatever the occasion. Match the metal legs and wooden top to other utilitarian pieces from our collection and conjure up that downtown warehouse vibe in seconds. 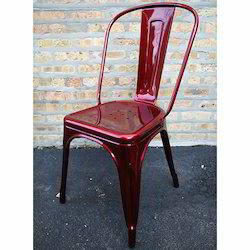 Looking for Cafe Furniture ?